From a first look it is hard to picture such a thin-structured piece of seating furniture standing up to much weight, let alone wind, rain and other outdoor elements you encounter when you camp, go to the beach or sometimes find when simply sitting on the lawn. 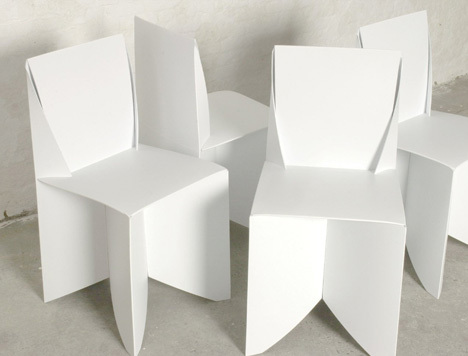 Using tough, rigid and lightweight polypropylene lets each chair retain its paper-thin character while making it more durable than typical wood, plastic or even metal (which can rust) alternatives which require covers or indoor storage when not in use. 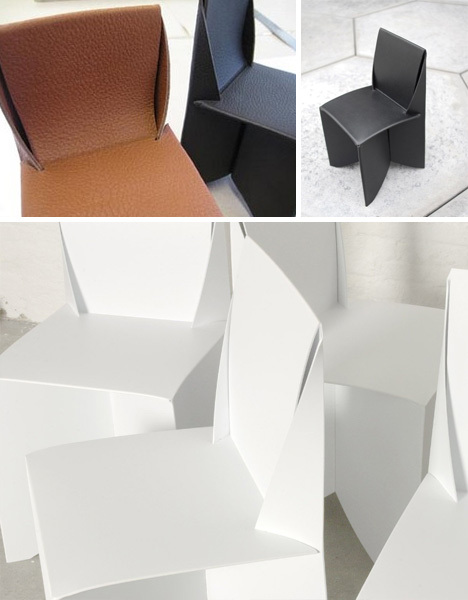 Cut, scored and folded to work much like real traditional paper origami, the pieces and parts of this chair show their origins clearly – you can almost unfold it in your mind to see that flat sheet from which they came, just as intended by designer Stefan Schoenig. At the same time, the curves within the legs and back serve as arch-style support to make them capable of holding up higher loads than one would expect. Some iterations of this work were made with luxury audiences in mind, intended to be covered in leather and naturally only viable for indoor use. 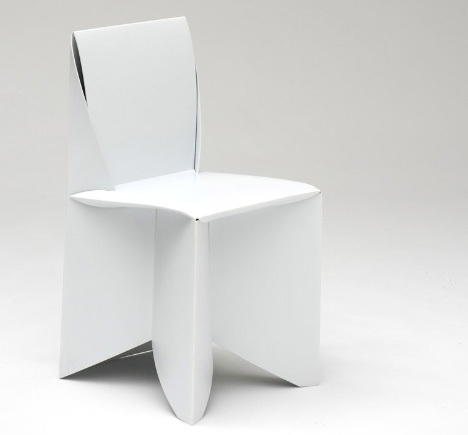 Taking the ‘folding’ aesthetic beyond merely the superficial, however, the versions crafted from more versatile synthetics instead seem somehow more convincing as both art (visually) and furniture (able to fold up as needed).